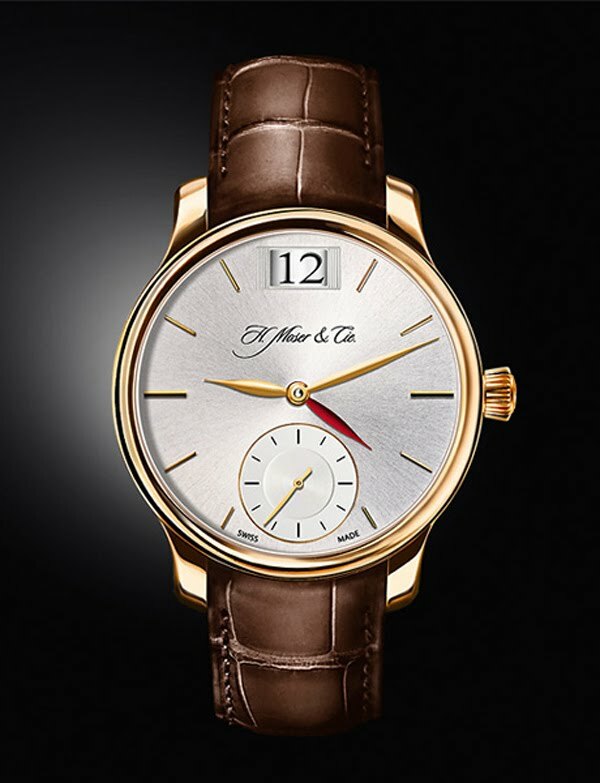 A very elegant watch with automatic movement and alternating 12- and 24-hour display. The Moser Meridian combines well-known and popular complications with a special innovation: a display which changes automatically from 12 to 24 hours on an ordinary, familiar dial. The prominent window at the top of the dial displays a 12 in the morning of home time. At midday, this display changes within the space of a second to read 24. Within the home region, a different-coloured and somewhat smaller hand of a different time zone (destination time) is simply hidden under the normal hour hand and so moves along with it unseen. To display the time of another time zone (destination time), the coloured hour hand which is normally hidden is adjusted in steps of one hour by means of the crown in its central position. The unique Moser Double Pull Crown system allows the central position to be easily located without the watch being inadvertently stopped or the current time being changed. The required number of hours forward or back can be set and the coloured hand shows the corresponding time. Home time can still be read as usual. The display in the window which changes at noon shows whether it is morning or afternoon in the home time zone. Thus in far-flung parts of the world it is always possible to check home time easily in the usual way, without having to think about whether it is AM or PM there. With a power reserve of 72 hours, i.e. three full days, the Moser automatic movement, with its characteristic offcentre pocket-watch style seconds display, is one of the longest-running models available. 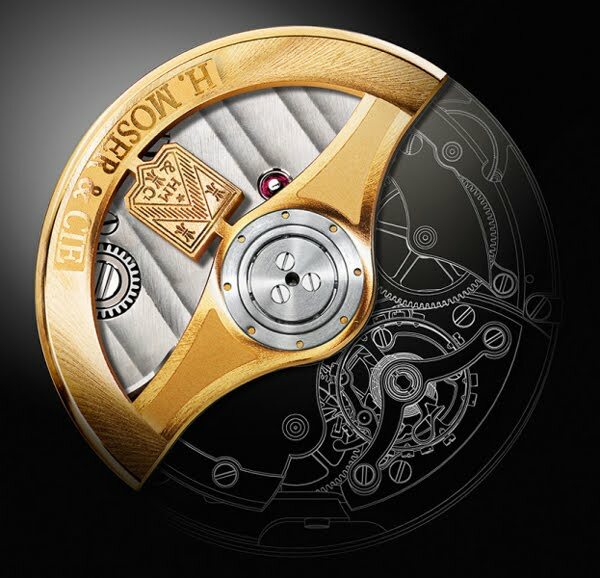 The solid gold rotor transfers its energy to a highly efficient pawl winding system, whose large barrel ensures the very long power reserve. 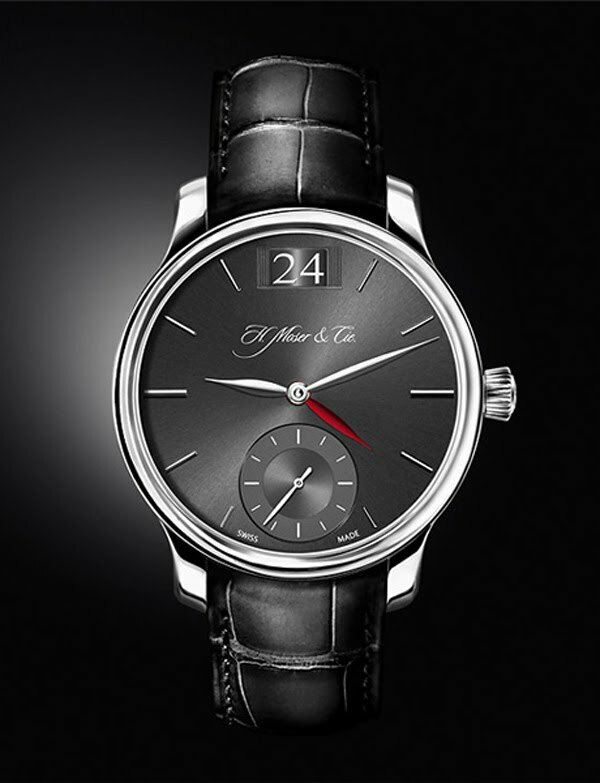 The accuracy of this extraordinary watch is assured by Moser’s characteristic interchangeable escapement. And, naturally, it also comes with a Straumann Hairspring®, produced in-house, Breguet overcoil and pallet fork and escapement wheel in hardened solid gold.